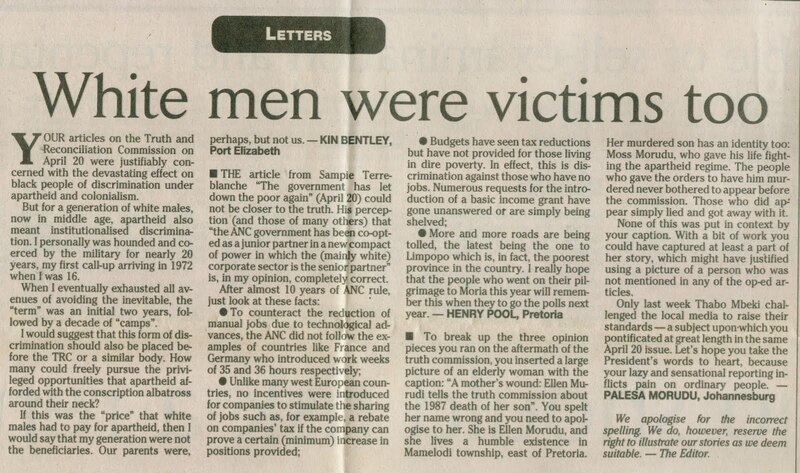 With the ANC firmly ensconced in power, in the early 2000s it got into a name-changing frenzy. 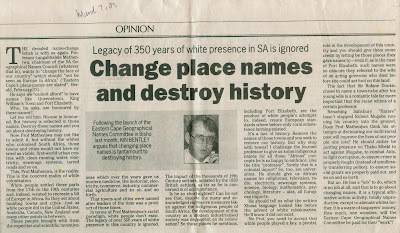 I wrote several times in the Herald, Port Elizabeth, about the issue. 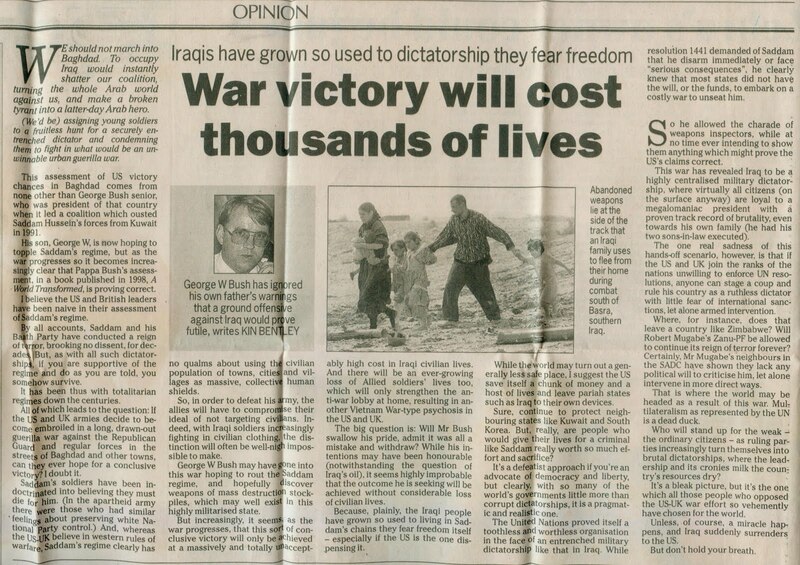 This posting also tackles the tricky issue of the US-led invasion of Iraq. 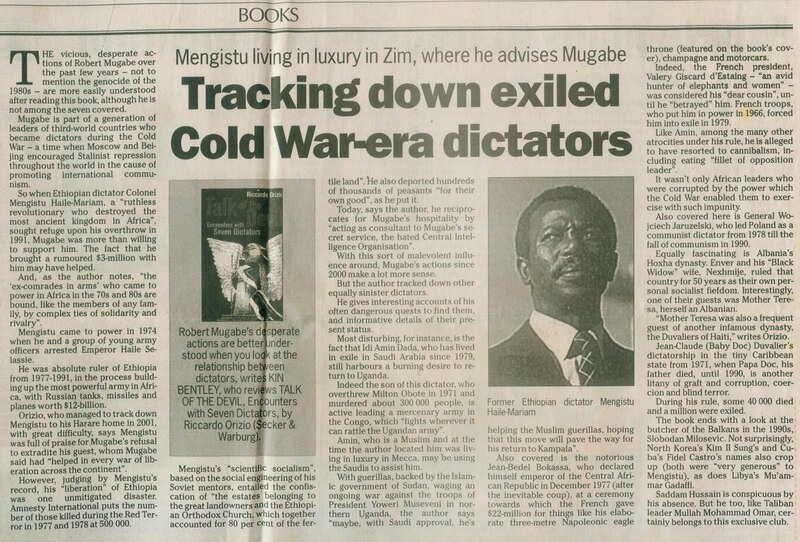 There is a review of a book about some of the world's worst dictators, a letter attacking writer Arundhati Roy, a review of a non-fiction book by J M Coetzee, a letter on military conscription, and a tribute to David Bowie. 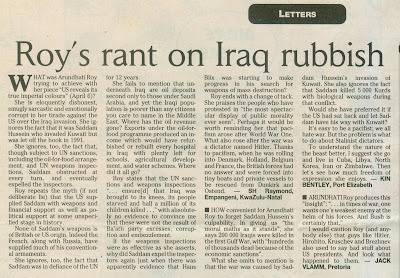 It wasn't easy sticking up for the US, especially under a president like George W Bush, but it had to be done in the face of a growing politically correct lobby. 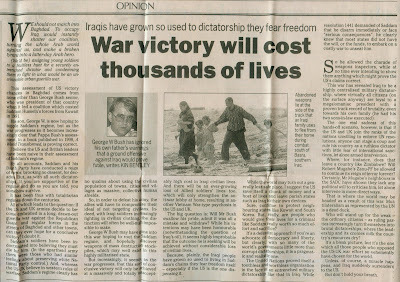 This appeared on April 1, 2003. 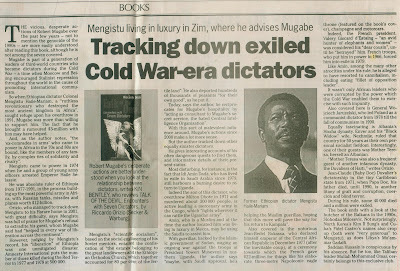 My review of Talk of the Devil, a book by Ricardo Orizio, in which he recounts the horrific tales of seven Cold War dictators, several of them African, and one of which was given succour in Zimbabwe by Robert Mugabe's regime. 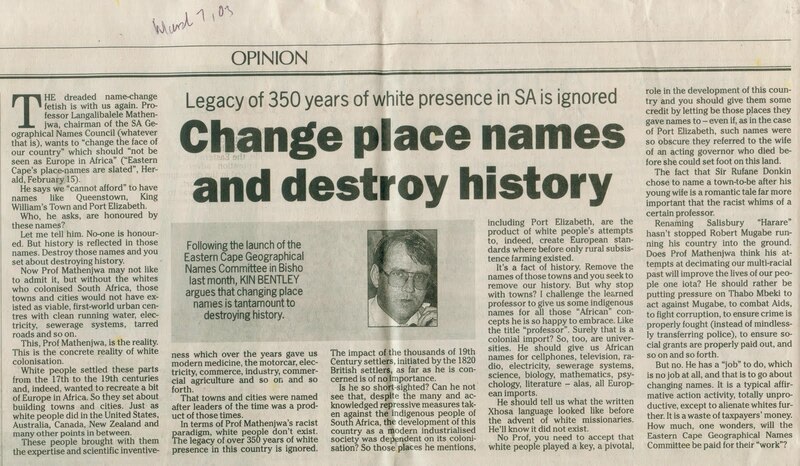 This appeared in the Herald on April 9, 2003. 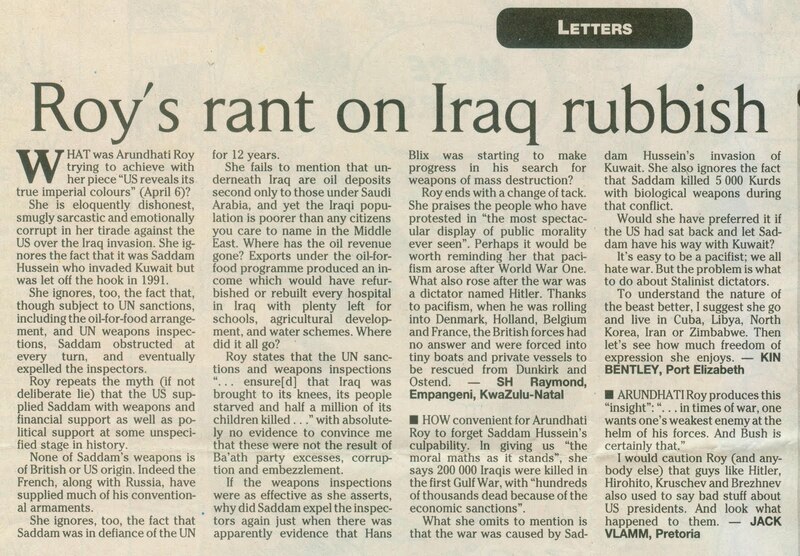 I was happy to see I wasn't the only one angered by the holier-than-thou approach of writer Arundhati Roy, whose article I criticised in this letter published in the Sunday Times on April 13, 2003. 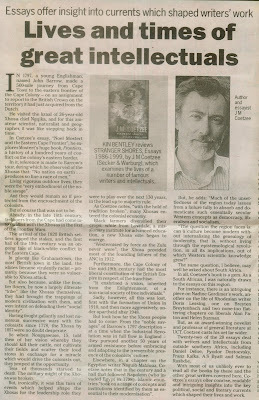 My review of J M Coetzee's book, Stranger Shores, which appeared in the Herald on April 23, 2003. 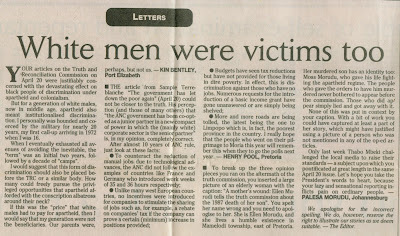 This letter, pointing out that white males like myself were discriminated against as well through military conscription, appeared in the Sunday Times on April 27, 2003. 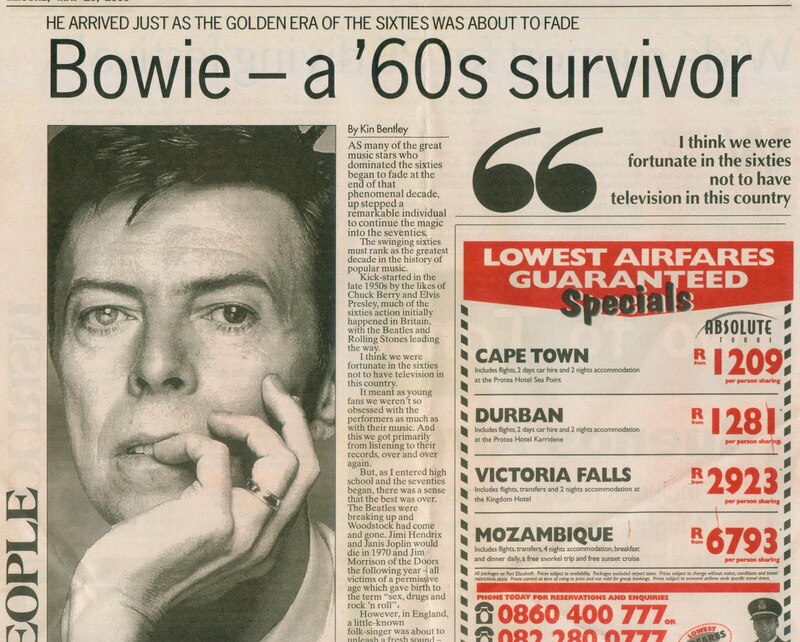 I had this piece on David Bowie published on May 10, 2003. 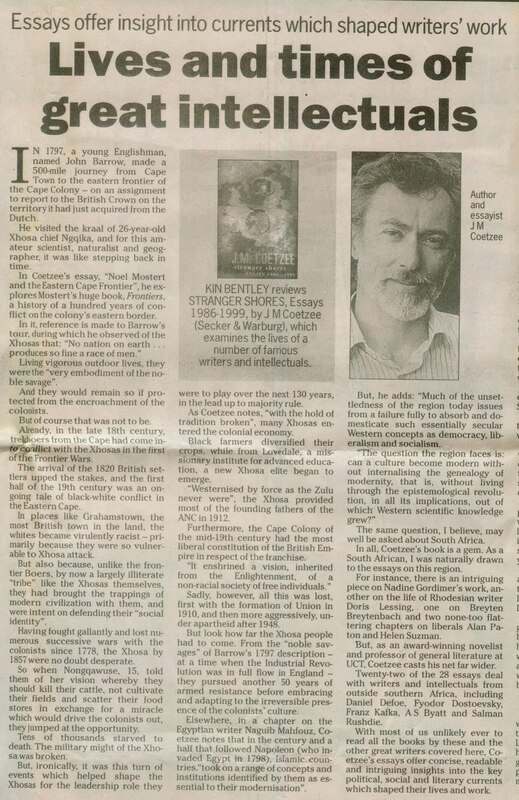 It continues below. I would later in the decade start a major project researching all the key rock musicians of the 1960s and 1970s, which can be seen on another of my blogs. Just google the words: global rock legends.